Italian Artisinal Chocolatier Villa Del Conte has prepared a decadent snack in time for the Easter Egg hunt. Load your backyards with masterfully crafted Easter egg packaged chocolates. Recreating the Italian tradition uova di Pasqua al cioccolato or chocolate Easter eggs, these rich and decadent artisanal chocolates are packaged in a fun, creative, and adorable Easter egg packaging. 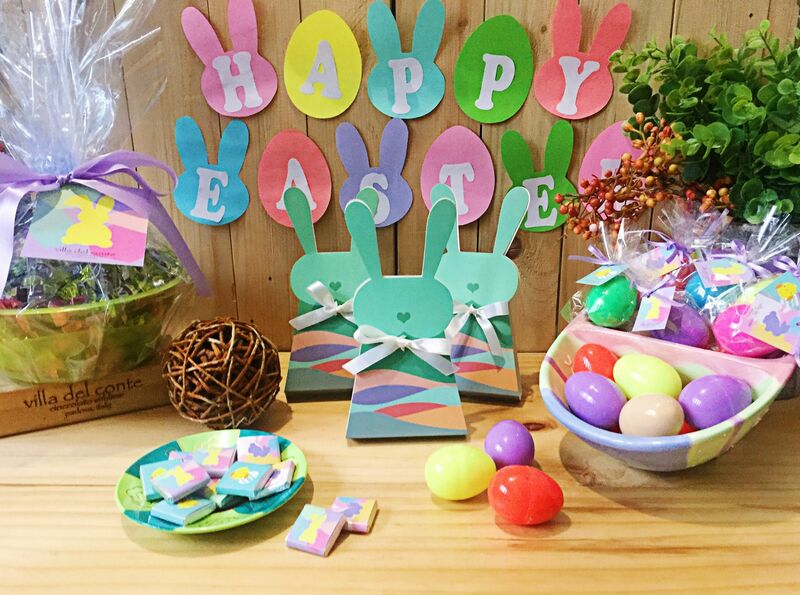 Choose the chocolates included in your Villa Del Conte Easter Bunny Treat: 3 pcs. Praline Balls, 4 pcs. Bonta Pralines, or 7 pcs. 5g squares in pastel-colored Easter wrapper. Celebrate Easter the Italian way and get these uova di Pasqua al cioccolato from Villa Del Conte. Visit Villa del Conte stores in Greenbelt 5, SM Megamall, and Robinsons Magnolia. For bulk orders and to know more about Villa Del Conte’s indulgent creations, contact 893-2575, visit www.villadelcontecioccolato.com, or follow them on Facebook.